The latest generation of US Air Force fighter jets are smarter, stealthier, and more lethal than their predecessors, but they present an unexpected hurdle: The new jets are too powerful to unleash their full potential during training exercises. One general believes that training pilots in virtual reality is the solution. 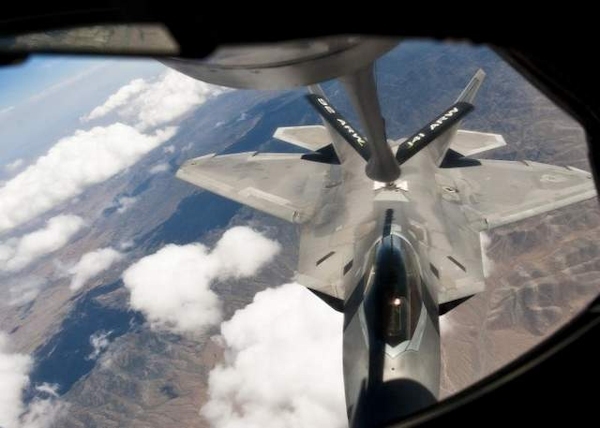 Fifth generation jets like the F-22 Raptor and F-35 Lightning II boast weaponized high technology like supersonically launched guided missiles and a wealth of sensors that provide full situational awareness to the pilot, simplify decision-making, and allow for advancements like automated targeting. In short, they’re pretty scary and lethal as hell. It sounds like it would be a military honcho’s dream, but General Mike Hostage has a few complaints, as Air Force Times first reported. Namely, he can’t let them loose during Red Flag training, which prepares roughly 27,000 pilots and engineers for combat every year. To overcome this limitation, the Air Force is using virtual reality to train its pilots in every facet of fifth generation fighter jet technology. They’re getting quite good at it. By doing the first leg of their training in a simulated environment before they get into the real thing, pilots are able to try out the cutting-edge weapons systems that they wouldn’t get to test otherwise. The military has wholly embraced VR, or “Live Virtual Constructive” (LVC) training over the last several years, not least because it’s a huge cost saver. Every branch is feeling the financial squeeze, and simulated training is a popular idea since it cuts down on the time it takes to get a pilot airborne and the cost of launching a jet. The Air Force even has an unapologetic futurist at the helm of the Air Force Agency for Modeling and Simulation, where much of the research into virtual reality training is being done. But before the military enters whatever cyber-dystopian virtual combat environment Plescha envisions—if we’re not already there, since digitally assisted occupation, unmanned drones and cyber warfare are ascendant in militaries the world over—virtual reality is poised to help train pilots on the Air Force’s latest tools of destruction.